Through the Kettler Elyx 1 Elliptical Trainer 7643-500, obesity is being conquered in people’s lives all over everywhere. From private home owners taking their fitness into their own hands, to commercial gym owners that refuse to offer their members anything but the best, the industry as a whole is moving forward. The Kettler Elyx 1 Elliptical Trainer 7643-500 is about sporting a progressive approach to conditioning, as well as a smart and biomechanically correct environment without joint-jarring impact points. Furthermore there is an emphasis of functionality with practicality. While the Kettler Elyx 1 Elliptical Trainer 7643-500 has more than enough to challenge even the most seasoned pro or fitness lover, it’s best results are applied to those that need to get things moving again and reach a higher level of conditioning before moving on to more challenging machines or things like sprinting, jogging, or competition cycling etc. Get every bit of your workout completed before you even leave your home with the Kettler Elyx 1 Elliptical Trainer 7643-500. With 8 programs you're sure to find several different levels of resistance training with varied adjustments to help work different muscles. The blue backlit LCD electronic computer display with push & turn controls displays your total distance, time, speed, RPM, energy consumption, and heart rate. The heart rate control programs maintain target rate by automatically adjusting resistance. The Quick-start feature activates the machine if you simply begin pedaling & the recovery feature is for cardio-wellness index calculation. 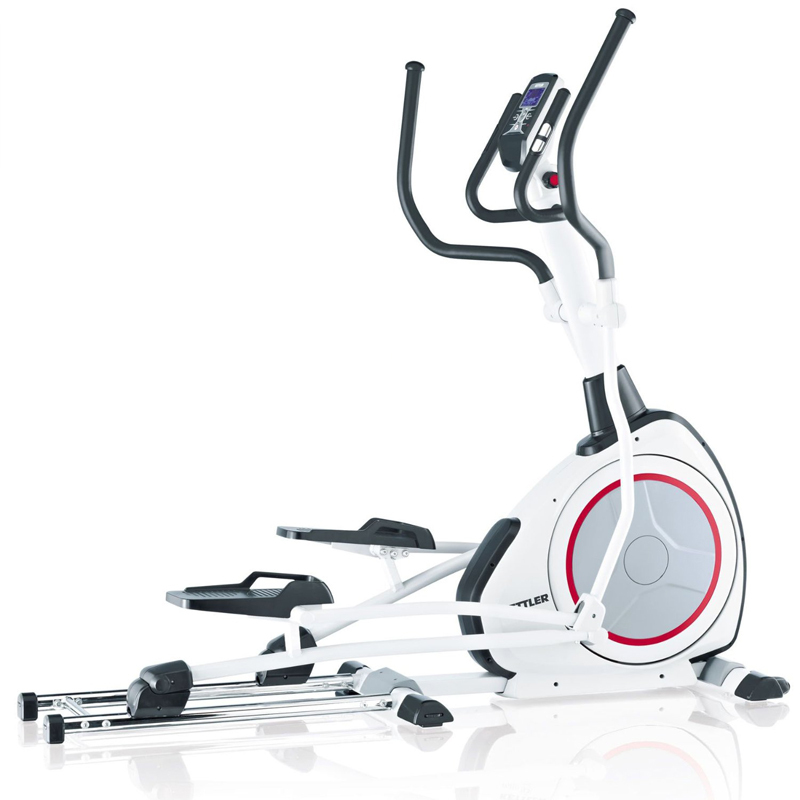 The adjustable foot plates with three positions are designed for varied elliptical motions and movements. The motor-controlled variable magnet resistance system features 16 resistance levels so you can excel at your own pace. Constructed from a sturdy steel frame, this machine was designed to withstand rigorous workouts for years to come. Don't wait call 1-800-875-9145 to speak with one of our fitness advisors with any questions you may have about the Kettler Elyx 1 Elliptical Trainer 7643-500. Get on board with the fitness revolution and order your Kettler Elyx 1 Elliptical Trainer 7643-500 from FitnessZone.com today! 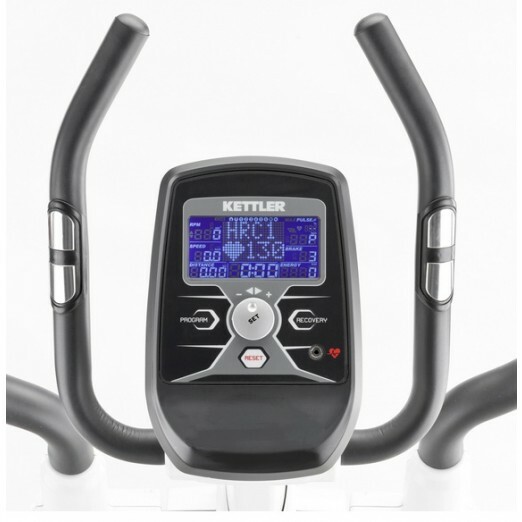 The Kettler Elyx 1 Crosstrainer is a front-wheel elliptical cross trainer that has been sophisticatedly designed with incomparable quality. It is excellent for exercising your lower and upper body and to strengthen all core muscles towards enhancing muscle endurance. Elliptical technology in the innovative Elyx-1 Crossstrainer imitates and simulates actual walking, jogging, running and even skiing movements through low-impact oval movement patterns. 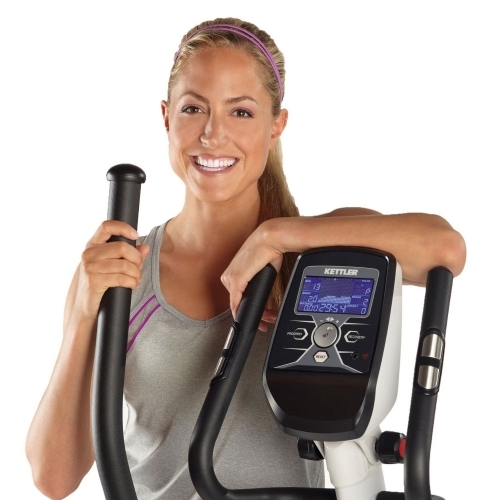 Order your Kettler ELYX 1 Elliptical Trainer 7643-500 from FitnessZone.com today!